the Ottawa Branch of the Ontario Genealogical Society. This is the information that may help with your update. We hope you and your family can visit Aylmer for a day of history and genealogy for the 2nd gathering of the Edey families. 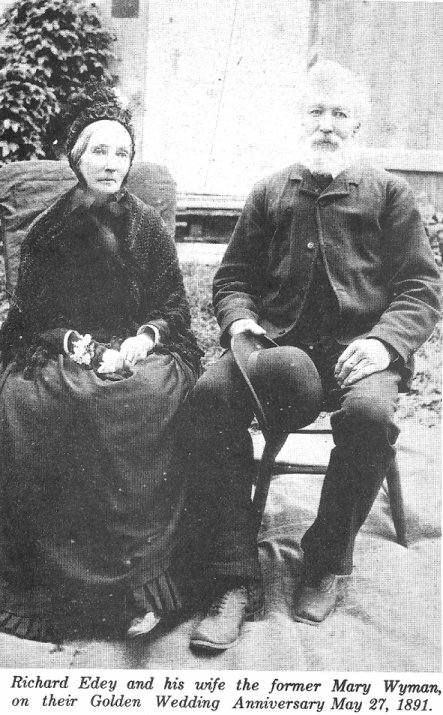 and Samuel, b.1786, settled in Lower Canada (Québec) in 1805.
where some of our families now rest. The Reunion is being organized to raise funds to maintain the restoration of the Edey Cemetery. is located at East side entrance, at left of the church. Registration and Name Tags. Coffee is available. Maps of the Pontiac are available for self-guided tour on Sunday. Symmes Inn Museum, in Aylmer, is also open on Sunday. A Lineage Chart, beginning with Luther & Mary Edey and their children is to be set up and families can include their names. jams/jellies and other interesting items. at several nearby restaurants, including Tim Hortons. few burial sites at Bellevue Cemetery will be indicated. 3:30 - 5:00 pm - Browse through the displays. At this time there will also be photo-taking. 5:00 - 5:15 pm - Welcoming Speech, then ‘Grace’, provided by a family member. rolls and dessert (fruit/fruit cocktail), has been planned. 6:15 - 7:00 pm - An ‘After Dinner Speech’ by Enid Page is planned. Winners of the Silent Auction and Door Prizes are to be announced. Socialize with family members. The Church Hall closes at 7:00 pm. to be held at Aylmer United Church. It should be a rousing time. so order early. Don’t forget your camera. Let’s get together, have a great time, and learn about our heritage. We hope to see you. Reunion Only - No Dinner: Adults - $15.00 each. Children under 10 years of age - $3.00 each. Please send updated family data to brenda.mccooeye@gmail.com for our 2nd Edition of The Family Tree Book. Gather up family photos, stories, short histories & mementoes that you are willing to share. Please bring unidentified photos as someone may be able to identify them for you. Collect up-to-date information about your family for the Lineage Chart. Each family is to make their own arrangements. 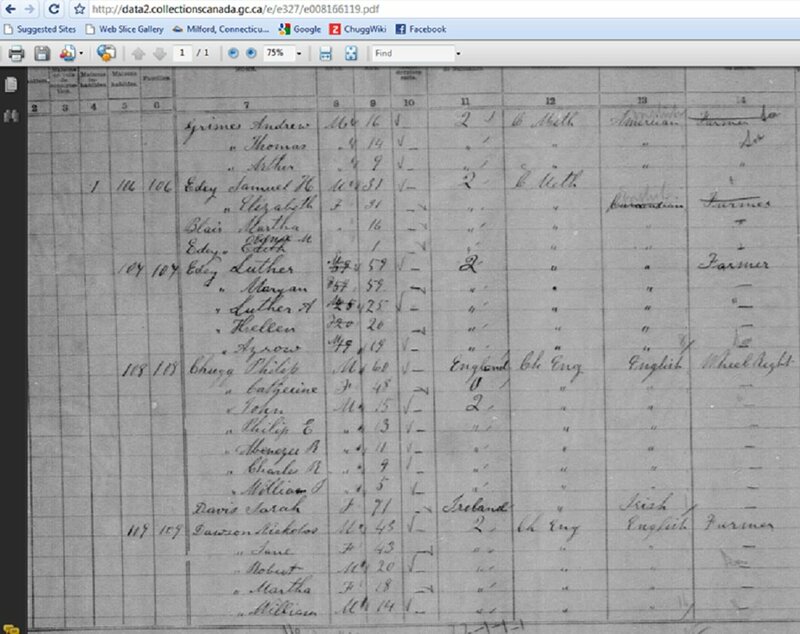 A possible neighborly link between Aylmer / Hull families is documented in the 1881 census for Hull.